Keep track of your valuable possessions. Amber Connect GPS Tracking, a fantastic range of tracking devices, is the latest brand to join the VIP Design stable. 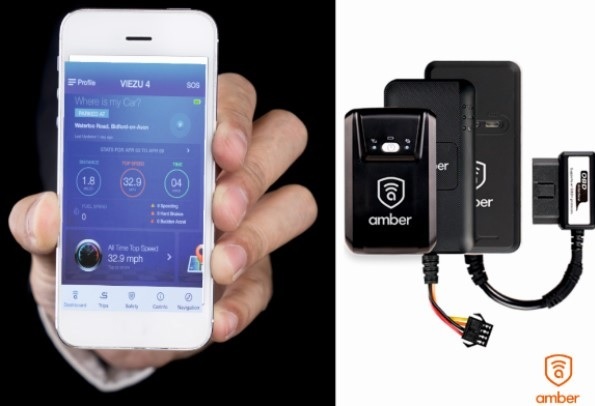 Amber Connect GPS Tracking devices are low-cost, contract-free GPS trackers, which enable you to find out where your car is and how it’s being driven from a smartphone app or cloud-based web portal. Whether someone else regularly drives your pride-and-joy, it is driven occasionally by valet-parking or when it goes in for a service, or you just want to easily keep track of business fuel expenses and mileage, Amber Connect trackers are an extremely economical way to keep track of your vehicle and precious possessions. Amber Connect GPS Tracking is available to be wired in or wireless, both offering unique advantages; the wired version enables remote shut down of the engine via the Amber app if the vehicle is stolen, being driven badly, without authorisation or it has breached a pre-defined geo-fence or perimeter you have set, while the wireless version is easily portable and can be moved from vehicle to vehicle. Wireless trackers are also ideal for tracking leisure vehicles, or vehicles without power, such as caravans, horse-boxes, and trailers, or high-value leisure equipment such as golf buggies & equipment, bikes, motorbikes and quad bikes, and ride-on lawnmowers. Tracking has traditionally been very expensive with long contract tie-ins, but not anymore! Amber Connect tracking devices can be purchased from £140. They require a SIM card for data transfer and these can be acquired on a pay-as-you-go basis from as little as £2.50 a month, making tracking your valuable possessions very cost-effective. The user-friendly Amber App is available for iOS and Android devices, as well as a cloud-based web portal, and provides extensive analytics and reporting on how your vehicle is being driven and where it has been, harsh braking and acceleration and breaches of the speed limit. For more information about Amber Connect tracking devices, and how you can use them to keep track of and protect your valuable assets, please visit www.amberconnect.co.uk, call 01789 774413 or email sales@amberconnect.co.uk.